If you would like to order this collectable model please order on line. 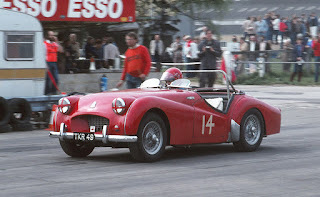 Don't forget it is also the Triumph Marque day at Prescott (Gotherington, GL52 9RD) this weekend (20th May 2012). Neil will be taking a car that has participated in the RevingtonTR and TR Register Sprint and Hillclimb championship since the first event. We will be there Sunday to take any questions and help with any problems. I hope you will be able to make it. See you there.